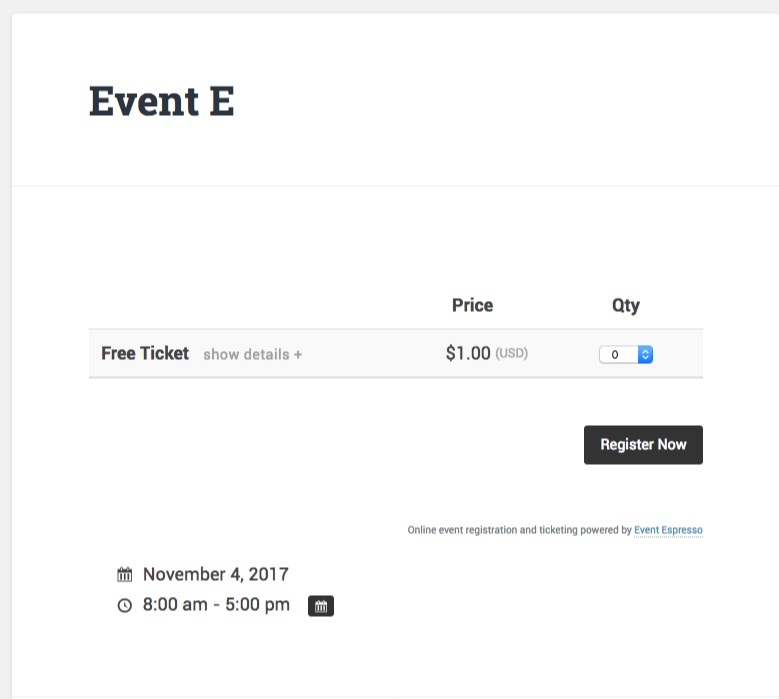 Ever find yourself wishing that WordPress themes would look better, out of the box, with Event Espresso 4? Well, I have some good news! We now have a small selection of child themes available for Event Espresso 4. We have been using a selection of about 20, optimized WordPress child themes on our hosted platform, Event Smart, for the past two years. I’ve always thought it would be a great idea to release these themes to Event Espresso users, so I’ve started a new, bare-bones, little theme shop called, Espresso Themes, where I am hosting a limited selection of WordPress child themes, specially brewed, just for Event Espresso 4. Many WordPress themes tend to display the published date on each post, which usually conflicts with the event dates, which is confusing to your customers. 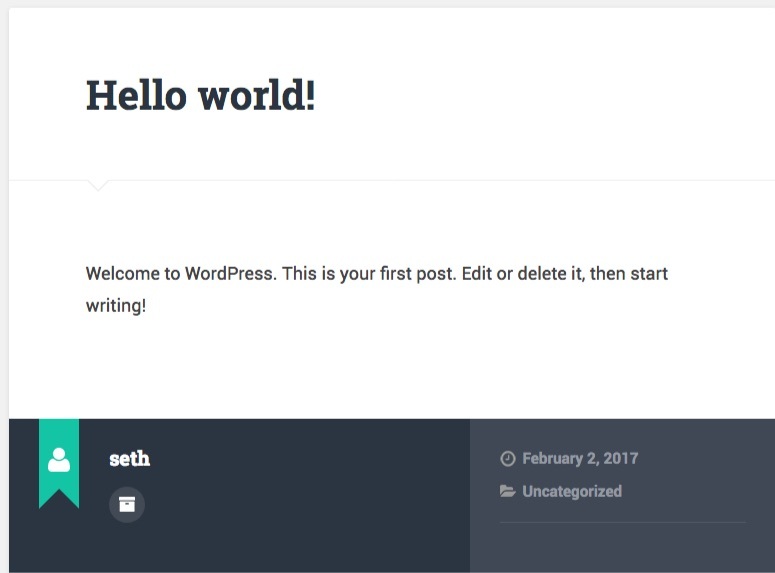 The following screenshot is an example of the default Baskerville WordPress theme. If you look at the post meta section at the bottom, you can see the author information, then on the right side, the post date and post category. 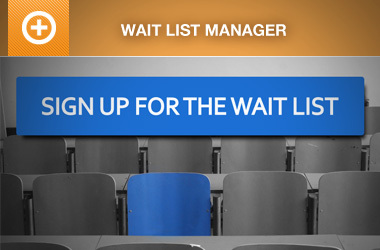 However, if you are running Event Espresso, the event date that shows on the single event page, or the event list doesn’t correspond to the post date. In the example below, the post date that shows in the post meta output of the theme, which is confusing to event goers that are trying to learn about the event. On Event Smart, we have engineered around twenty child themes to show the event dates, instead of the post dates in those places. In the example below, the post date section has been removed on the single event post. 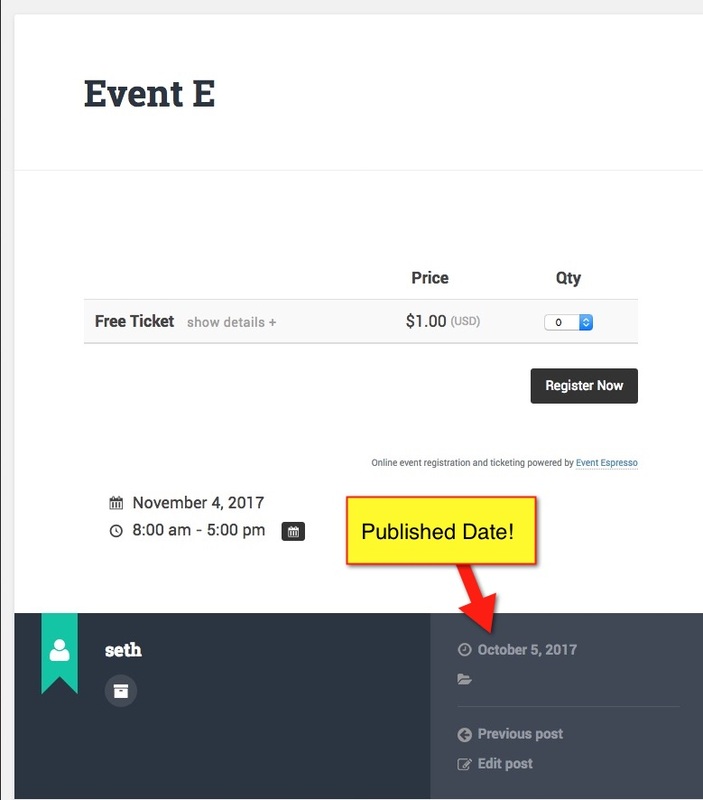 As you can see, the child themes have been optimized for Event Espresso 4 to display event dates and times, instead of post dates, which are common in many default WordPress themes. In this case, I removed the meta box entirely, as I thought it made the event page cleaner and focused on purchasing tickets. In October, I started the website and made four new child themes available. Now, I have plans to launch around 20 more in the coming weeks, in between other tasks. 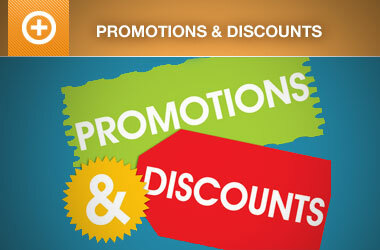 The primary functions to launch a new child theme are relatively tedious but straightforward. What about support and one-click updates? Support and one-click updates for the child themes are primarily handled via Github and a private theme update service, called Kernl. I’ve decided to create a section dedicated to premium themes that work well with Event Espresso. 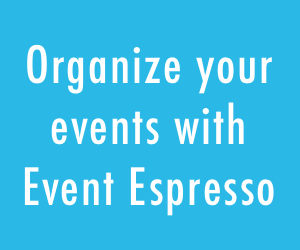 From there you will find a selection of third-party event themes and standard themes that work well with Event Espresso. Why create a new theme shop? I hope you find this information useful and are inspired to develop child themes for Event Espresso. If you do, I hope that you find these child themes to be an excellent starting point and a useful guide in your endeavors. I love hearing your ideas and thoughts regarding our services, so please feel free to send us an email or submit your own child theme to our directory.